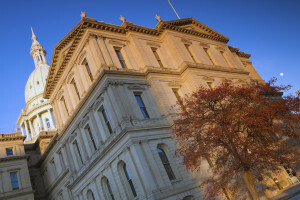 The Michigan Senate Insurance chairman on Wednesday introduced a bill to strip insurers of the power to mandate certain vendors or systems — like the controversial PartsTrader — for buying parts and materials. Republican state Sen. Joe Hune’s Senate Bill 430 is similar to a 2014 effort in Maryland, budget amendments that nearly passed in Minnesota this session but were stripped out in last-minute Legislative chaos, and a New York bill which cleared committees but failed to clear the Legislature before the session ended in late June. The bill is short, reminiscent of the New York Assembly Bill 6684, which sat unconsidered in the Senate Insurance Committee but had been scheduled for an Assembly floor vote only to have the legislative shot clock run out. The ban would start only 90 days after passage of the bill. “ASA has communicated our concerns with mandatory parts procurement to the industry,” Automotive Service Association President Dan Risely said in a statement in a news release.“We believe that direct repair program mandates to utilize specific vendors to purchase parts and/or third-party software applications adversely impacts collision repairers and consumers. The legislation has been sent to the Senate Insurance Committee. There does not appear to be a House bill yet. “If you talk about things from the consumer’s perspective … that’s how they can identify with repairs much easier,” Hendler said. It helps too that legislators seemed to grasp that collision repairers are experts in their fields and not comparable to the guy trying to pound your dents out in a parking lot. “It was clear that the legislators do view us as a professional,” she said. Another big selling point against mandating vendors involves buying local. When an insurer requires a part from hundreds of miles away versus a local source, that’s less tax revenue and economic benefit to the state or region. “Legislators are typically drawn to keeping the economy in their economy,” Hendler said.